Imagine this -- you spend an entire month backpacking throughout Southeast Asia, drinking from coconuts on the beaches of southern Thailand, hiking the mountains in Vietnam, and seeing Angkor Wat at sunrise. Best of all? You're getting paid to do so, and you have the same job waiting back home that you had when you left. Whether you're hiking the Appalachian trail or spending the month learning a new skill, a sabbatical is often a critical opportunity to regain focus and clarity, relax, or check off a bucket-list item. If your employer offers you the option to take a sabbatical, it's a good idea to take one. However, a sabbatical can seem daunting, and "wasting" your sabbatical on a bad decision can seem more frustrating than not going at all. To combat these challenges, I spoke with six employees at HubSpot who each took a month-long sabbatical at their five-year anniversary. Keep reading to get some ideas for how you want to spend your sabbatical. But first -- what's a sabbatical? It depends on the stipulations provided by your employer, but typically, a sabbatical can last anywhere from one month to two years. Of course, you will likely have a shorter sabbatical if it's a paid sabbatical, and a longer one if it's unpaid. Unlike vacation, a sabbatical is an extended break from work. Employers can offer either unpaid or paid sabbaticals, but typically guarantee an employee's position remain open until the employee returns from their leave. The length of a sabbatical is up to the discretion of your employer, as are the terms and conditions. 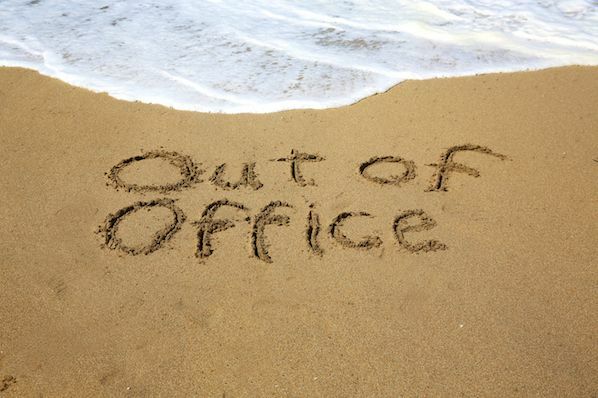 Many companies encourage higher retention rates by offering sabbaticals to employees only after a certain period of time -- at Adobe Systems, an employee is eligible for a four-week sabbatical after five years, and a six week sabbatical after fifteen years. Some companies incentivize employees to pursue professional development by offering a paid sabbatical only if an employee uses the time in a certain manner. For instance, Deloitte offers both paid and unpaid options. A Deloitte employee can choose to take an unpaid one-month sabbatical at any time, or a three-to-six month sabbatical that "can be taken to pursue personal or professional growth opportunities in the areas of career development or volunteerism." At HubSpot, employees are eligible for a four-week paid sabbatical, but only once they've been at HubSpot for five years -- however, this might look different at your company. It's important to note, sabbaticals can be incredibly effective solutions to turnover rates at your company. Oftentimes, people will work in certain roles until they're exhausted, and then feel they need some time off from work, or even a career-change, to recharge. A sabbatical is an alternative solution to this problem, and allows your employees to return to their roles happier and more productive. Additionally, your employees will likely gain fresh ideas and perspectives during their sabbaticals. Perhaps they'll observe new potential markets, learn a new skill, or observe how a competitor in another country is successfully solving a problem with which your company has struggled. "In July of 2014, I started learning Brazilian Portuguese and, after about five months, got to the point where I was proficient enough to take lessons entirely in the language. I was lamenting the fact that, with a wife and four kids, I’d probably never get the chance to get the immersion I needed to bring my skills to the next level, when HubSpot announced our sabbatical program. Leaving work behind wasn’t a huge issue, as I was working in sales for our Dublin office at the time and Europe shuts down in the summer. Even if it were, being in Rio with four kids would be enough of a distraction to keep my mind off things." "You may think sabbatical and immediately have your imagination jump to exotic locations or wild adventures. Mine did not. For my sabbatical I rented a quiet house by the harbor in my hometown of Marblehead, Massachusetts. I spent the entire time taking long walks with my dog and sitting in a rocking chair on the front porch. Above all, I wanted some time to clear my head. Going somewhere familiar and watching my dog sleep in the sun was that precise thing. I am so grateful I did." "For my 31 days I elected to rent a house in Costa Rica and live the surfing life as if I was retired and just doing my thing. I ended up renting this incredible house just minutes from the beach. As you’d expect when you send an open invite to friends and family saying you've rented a beach house and there are open bedrooms available, people are more than happy to take you up on the offer. We had a fun rotation of guests coming and going each week, which meant there were always laughs and adventures to be shared. It was also rewarding that I was able to pay a vacation forward to my parents, and host them for once. I’m a big fan of earning good karma on trips, so I decided to donate some of the HubSpot provided money to a local school and I ended up bringing home a stray dog! Once his paperwork was all set, I brought him stateside. Best of all, he was adopted by a fellow HubSpotter and he's already been in the office and gotten plenty of HubSpot love. 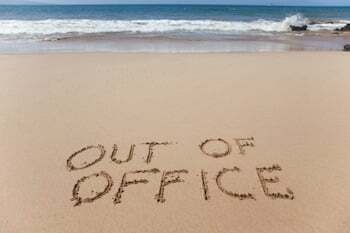 Hopefully everyone who becomes eligible for a sabbatical takes advantage of it and does something on their bucket list, or several things on their bucket list, with the time off. 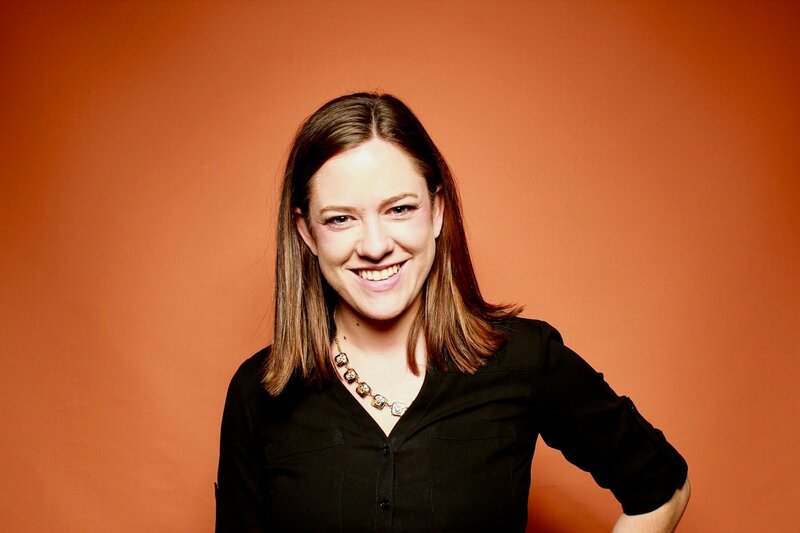 It’s well worth it, and I for one am incredibly thankful that HubSpot provides the opportunity to partake." "There are so many directions you can take for your sabbatical and the best direction to go can also be very dependent on your current lifestyle and living situation. My husband and I threw around a ton of ideas as there are many things on my bucket list, but we also had a baby that was about to turn one and no local family (or any that would take a baby for over two weeks). The great thing about HubSpot is that since everyone has the opportunity to take a sabbatical (and any vacation), no one minds helping out and supporting the current person who's out, so I never felt like I was burdening anyone and also don't feel like it's a burden to support others who are out -- which makes the month off 10x better. The only major source of stress of the whole process was making sure I picked the absolute best path up the coast." "I think the most important thing about planning your sabbatical is that you don’t bow to pressure to make it amazing in some traditional way. If you’re truly desperate to go on a month-long trek across vast empty landscapes, then by all means do it. But if secretly you’d rather stay home with your cats and knit by the fire (which is what I did), then you should do that instead. Nobody’s grading you on your sabbatical. You shouldn’t 'do it for the ‘gram.' This is for you -- to rest and recharge, whatever that happens to mean for you. Maybe mix a little travel with some downtime at home. Or indulge in nonstop travel if that’s right for you. Or don’t budge from your home turf, and really revel in that. I knitted myself a sabbatical sweater, which actually has a secret message woven into those cables that only I can read. (Knitters will understand what I mean.) It isn’t so much about 'having something to show for it' as much as it is about crafting your sabbatical so that it gives you the space to remember something about yourself that you might have forgotten, or to resolve something new that you want to recall. Try to come out of your sabbatical with some sort of message to your future self, something your sabbatical self would want you to remember." "I wanted to spend my sabbatical doing something creative and something that aligned with my hobbies. I also wanted to ensure it was something that would also only be available to me if I were to have a month of time off. I did some research (and deferred to Andrew Quinn, who had built a guitar already) and ended up booking a two-week intensive course with Charles Fox in Portland, Oregon. The process of leaving work wasn't too difficult -- I had my current direct report holding down the fort while I was out and it also was the summer (June) so the work cadence was a bit lighter. Once I got back, it took me a few days to adjust and get back into the swing of things -- mostly catching up on what happened and working through my inbox." If your company offers a sabbatical program, you'll likely need to follow certain guidelines to submit the request for a sabbatical. You can probably find the rules and regulations listed on your company's website. Consider how your sabbatical might contribute to the company's bottom-line down the road. 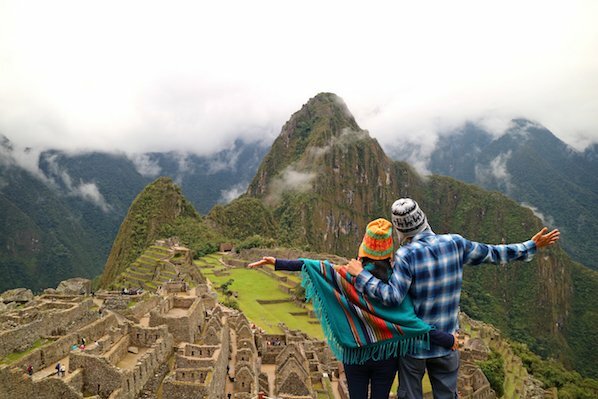 Perhaps you're hoping to expand into new markets, in which case you might propose a month-long sabbatical to visit the city in which you want to expand to get to know the local culture and language. Alternatively, maybe you feel burnt out after five years in a role. You might need a break to recharge, get some fresh perspectives, and come back refreshed and ready to take charge once again. Once you've figured out how your sabbatical could truly make a difference for your company or team, draft a proposal. Then, schedule a meeting with your manager or director. Begin by saying something like this -- "I've been thinking about how I can bring more value to my work, and I believe taking a sabbatical to learn XYZ will help me succeed. I've drafted a proposal for you to review." Alternatively, you might say, "After [recent accomplishment or promotion], I'm feeling a little burnt out. I think a sabbatical could be an effective opportunity for me to recharge as I prepare to lead our team this fall. I've drafted a proposal for your consideration."